On April 5, the Standing Committee on Human Rights and Public Affairs of the National Assembly initiated a discussion on Universal Periodic Review of the United Nations, in which representatives of the Government, the National Assembly, as well as representatives of international organizations and local civil society participated. It should be noted that this discussion was the first in its kind when the UN Universal Periodic Review Recommendations were debated in the National Assembly with the involvement and participation of various stakeholders. a. This initiative of the RA NA Standing Committee on Protection of Human Rights and Public Affairs, which gives an opportunity to thoroughly and effectively discuss the situation of human rights and existing problems in the Republic of Armenia as well as to find their possible solutions through effective usage of the UN’s UPR. b. Involvement of the Government of the Republic of Armenia, in particular representatives of the Ministry of Justice, Ministry of Foreign Affairs, Ministry of Labor and Social Affairs, and other state institutions in this process and the readiness to cooperate in the framework of the UPR. c. The active involvement of the Human Rights Defender Institute in these processes. 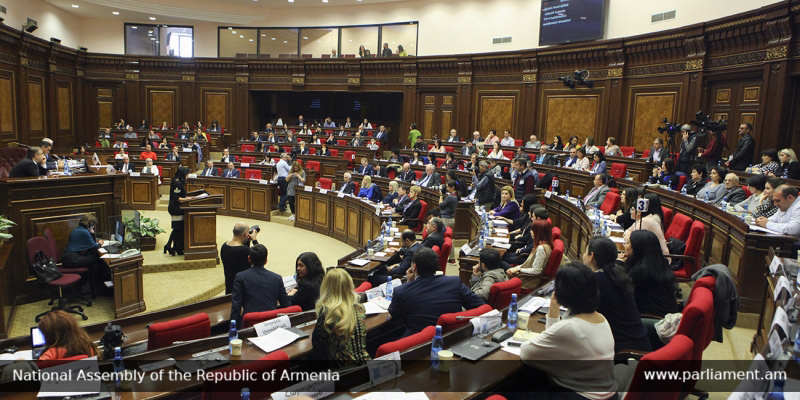 However, during the speeches, the chairperson of the NGO “Right Side”, trans woman Lilit Martirosyan, Chairperson of the NA Standing Committee on Protection of Human Rights and Public Affairs Naira Zohrabyan spoke out loudly about the speech, noting that the issues of transgender individuals were not on the agenda; talking about that topic is disrespectful to her and to the parliament.